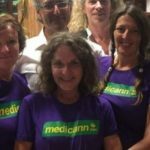 Renowned medicinal cannabis practitioner Dr Andrew Katelaris was arrested in April after being pulled over by police on the Central Coast. The doctor was charged with supply of a prohibited drug, as an officer found two small bottles of what was presumed to be cannabis oil. Dr Katelaris was also charged with drug possession, as a grinder was found in the car that contained .1 gram of cannabis in it. He also received a drug driving charge after a roadside oral fluid test returned a positive THC result. At the time of his arrest, Dr Katelaris was on conditional bail, after having been remanded in Parklea prison over a number of charges relating to medicinal cannabis following a police raid on his home in May last year. 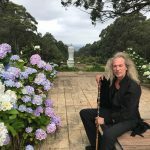 On 30 July this year, the NSW Supreme Court granted Dr Katelaris bail for a second time, as the court found that he’s a legitimate “crusader” for the cause of medicinal cannabis legalisation, and his actions weren’t carried out in the pursuit of financial gain. However, just last week, the doctor was informed that the test results of the oil found in his car five months ago came back negative. This means that the medicinal cannabis advocate potentially spent a further four months in gaol for having some massage oil in his possession. The doctor explained that it was still not clear when the test results were released. At the time he was informed that the charge of supply was no longer viable, he was also told that the possession charge from April was dropped as the amount of cannabis found was deemed to be too small to prosecute. 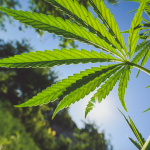 On Wednesday this week, the doctor received a nine month conditional release order in relation to the charge of driving with THC present in his saliva, which means that no conviction was recorded. Dr Katelaris also questioned the rationality behind one of his bail conditions. “They were saying that I can’t give advice or recommend cannabis to anyone,” he recalled. The doctor still has to appear in the Sydney District Court later this year to face the charges laid against him following the raid on his house. And while these drug charges are serious, the NSW Supreme Court justices pointed out that Dr Katelaris is no drug dealer or typical criminal. The medicinal cannabis advocate has landed himself in hot water as a result of being so open and honest about his involvement with a medicine that is now legally available in 31 US states that he appeared on national television and revealed the clandestine laboratory in his home. 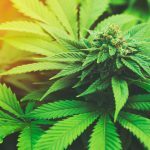 And while the doctor is facing prison time for producing cannabis medicines, the federal government is currently implementing a system that provides for the legal cultivation, production and distribution of cannabis medicines Australia-wide. However, this system has been criticised for being too slow-moving and bogged down in red tape. The Turnbull government passed legislation in February 2016 to allow for a medicinal cannabis market, but it was only last month that Little Green Pharma announced it had the first homegrown product available. So, over the last two and a half years, the vast majority of the estimated 100,000 patients who use cannabis medicines in this country have been forced to source their treatments via those who produce the medicine illegally. “This is a political case,” Dr Katelaris made clear. And he went onto explain that he’s arguing a defence of necessity, which is a defence that posits that there are situations that warrant such urgency that a person must be allowed to respond to them by breaking the law. In the doctor’s case, he’s claiming that patient’s lives were at stake. And while the government hasn’t been providing the “best possible medical care” for these people, he’s had to step in to give them the necessary help that they needed. The 5 November is the date that Dr Katelaris’ trial will begin. 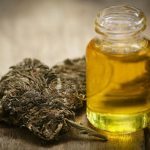 And his case involves some fairly serious charges, which include the supply and the manufacture of a large commercial quantity of cannabis oil. Both these charges carry a maximum penalty of life imprisonment. According to Dr Katelaris, if things are properly presented, the defence of medical necessity is sure to succeed. “I’ve studied up the elements of what a medical necessity defence has to encompass, and we satisfy it in total,” he asserted, adding that he expects the jury to deliver a verdict of not guilty. Dr Katelaris has been a long-term cannabis medicine innovator in this country. And he has the respect and support of many advocates and patients within the medicinal cannabis community nationwide. As an early cannabis pioneer, the doctor was granted the first NSW industrial hemp licence in 1997. And he was also granted a licence to grow medicinal plants for research in 2001. However, both licences were revoked after the NSW chief health officer was replaced. But, unfortunately for Dr Katelaris, this beneficial plant remains illegal in Australia. 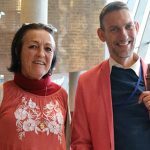 His wife, Maria, summed up her husband’s situation last year when she said, “Andrew has managed to criminalise himself,” whilst trying to decriminalise the plant over a long period of time.